Back in March when Nvidia introduced the GeForce GTX 1080 Ti it has also announced two upgrades – the GeForce GTX 1060 with 9 Gbps and GeForce GTX 1080 with 11 Gbps memory. These two new models with faster video memory did not get a lot of attention and they have just recently started becoming available on the market. 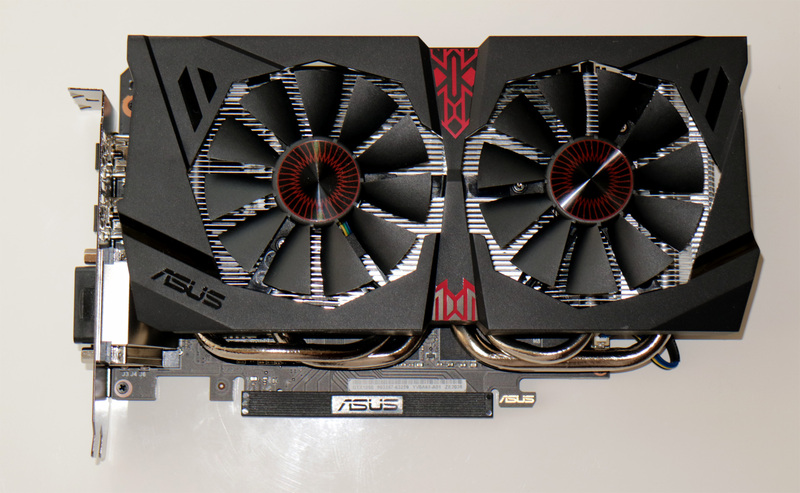 The GTX 1060 with 9 instead of 8 GHz GDDR5 video memory is what caught our attention and more specifically the ASUS GeForce GTX 1060 OC 6GB 9Gbps and we took one for a quick spin to see its crypto mining performance. The faster GDDR5 memory from Samsung found in this model is what makes the GPU pretty interesting for the currently quite popular and profitable Equihash and Ethash crypto algorithms. 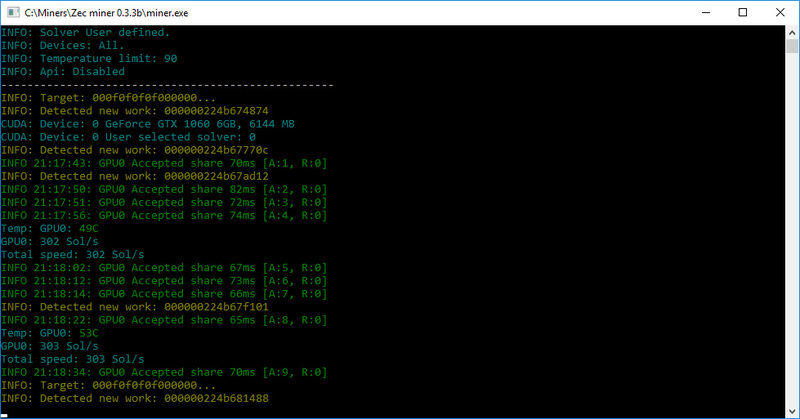 We wanted to see the mining performance with ETH and ZEC, even though the memory bus on the GTX 1060 is just 192-bit and that is a bit of a limiting factor. The big question here is how this GTX 1060 model compares to GTX 1070 that uses slower GDDR5 memory clocked at 8GHz (like the regular GTX 1060), but with 256-bit bus and comes with significantly higher number of CUDA cores. 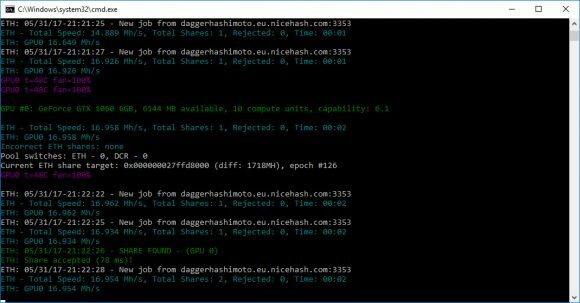 Going for the Ethereum (ETH) mining performance with the latest Claymore ETH miner we are not that happy with the performance we see – just about 17 MHS at stock settings. We kind of expected the lower result due to the 192-bit memory bus, but had hoped that the hgiher clocked GDDR5 memory could help for a bit better results. 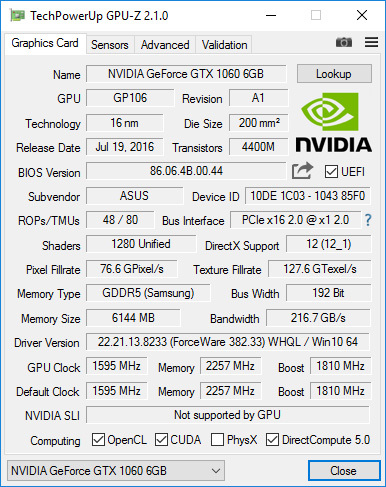 The GTX 1070 does about 25 MHS at stock settings, but can be pushed to about 30 MHs with some memory clock. Overclocking the GTX 1060 9Gbps helps a bit, but still that can push the performance to just about 19 MHs, so not that much better. The situation with ZCash (ZEC) is a bit better with about 300 Sol/s at stock settings using the EWBF ZEC miner for the GTX 1060 9Gbps while the GTX 1070 does of course much more at over 400 and can go up to about 450-460 with some extra tweaking. 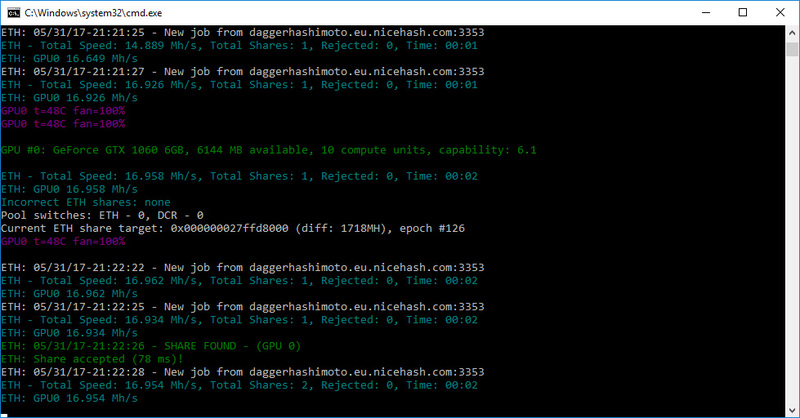 It seems that the faster 9Gbps memory on the GTX 1060 does not do it that much good for mining, tough it might be more usable for gaming. With prices for the GTX 1060 9Gbps not that much lower than the price of GTX 1070 there is actually not that much reason to go for it the faster memory instead of the faster GPU in general. Now, if Nvidia does tweak up the GTX 1070 with the faster 9 Gbps GDDR5 video memory things might get more interesting, especially for Ethereum mining using these, because of the the problems that AMD is having with Radeon RX series availability. 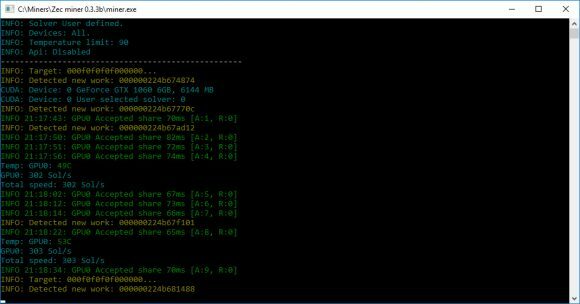 At the moment Ethereum mining on a decently clocked in terms of video memory GTX 1070 can bring it to about 30 MHS with 600+ MHz on the RAM and with reduced TDP. So power/performance wise the next best thing as an alternative to an AMD Radeon RX 570/RX 580 with a good video memory that can get to about 28-29 MHS after modding is in fact a GTX 1070. There are already rumors that AMD may have a couple of months with stock shortages for the RX series of GPUs, so we might soon start seeing the demand for the more interesting for mining Nvidia GPUs increasing.